Simon & Schuster, 9780743200400, 304pp. 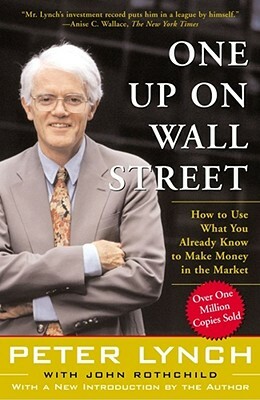 More than one million copies have been sold of this seminal book on investing in which legendary mutual-fund manager Peter Lynch explains the advantages that average investors have over professionals and how they can use these advantages to achieve financial success. America’s most successful money manager tells how average investors can beat the pros by using what they know. According to Lynch, investment opportunities are everywhere. From the supermarket to the workplace, we encounter products and services all day long. By paying attention to the best ones, we can find companies in which to invest before the professional analysts discover them. When investors get in early, they can find the “tenbaggers,” the stocks that appreciate tenfold from the initial investment. A few tenbaggers will turn an average stock portfolio into a star performer. Anise C. Wallace The New York Times Mr. Lynch's investment record puts him in a league by himself.